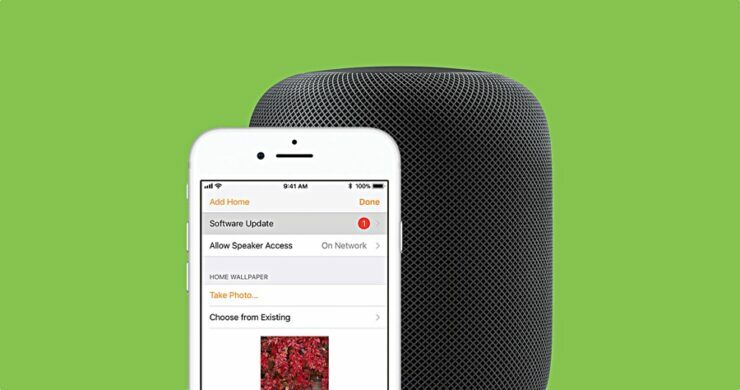 Apple has released software update 11.3 for the HomePod. It’s available over the air and it’s the first ever update for Apple’s smart speaker. Being available for quite a while now, the HomePod has received its first ever software update. Dubbed as version ‘11.3’ the update brings no new feature to the table, instead it focuses on stability, fixing bugs, enhancing performance and the other usual under the hood stuff. Nonetheless, it’s still important for users out there and I would highly recommend downloading it the first moment you get. Speaking of which, the update is available over the air only, obviously. There is no way to interface the HomePod with iTunes due to the lack of ports. But if you wish to update your HomePod right now, and I suggest that you should, then simply follow the steps outlined here. Once you are done with the process, allow the HomePod to restart after which you can start using normally. If there have been problems with the speaker, hopefully the 11.3 update has fixed everything today. Apart from update to the HomePod, Apple has released updates for iPhone, iPad, iPod, Apple TV as well as Apple Watch. All of the updates are available for free and can be downloaded over the air as you’d expect. Check out the respective posts for details on what’s new and how to update the software immediately. HomePod is currently in its infancy and there’s a lot that the speaker just can’t do. But we are hopeful that WWDC will put an end to much of our woes and make the speaker a favorable choice over the Google Home or even something that packs Amazon’s Alexa. But for now, we have bug fixes to look into, nothing else.